Fitness wearables and apps allow customers to gain valuable insights into their body in order to reach fitness goals. The worldwide revenue of US$15.7 billion in 2018 is expected to increase to US$20.5 billion by 2023. 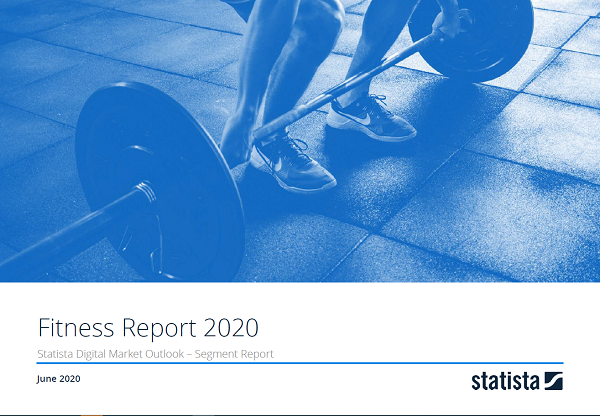 The report covers the Fitness segment which contains Fitness Wearables and Fitness Apps. The Fitness Wearables segment includes devices that are explicitly intended for fitness. In particular, fitness wristwear which is equipped with sensors and activity trackers that measure and analyze the physical activity and body functions of the wearer. Smart Clothes and Eyewear are also included. Smartwatches are not considered here as dedicated fitness equipment; therefore they are excluded from the market segment.The Fitness Apps segment includes fitness and nutrition apps e.g. calorie counters, nutrition diaries and apps for detecting /tracking/ analyzing and sharing vitality and fitness achievements.